Sarwat Chadda's Blog: Because Ninjas are COOL! 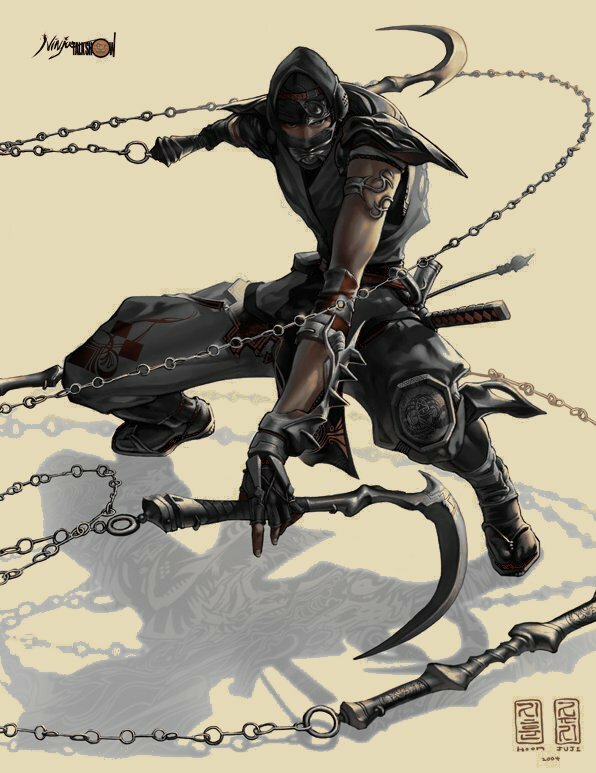 Do you remember when you first came across a ninja? I do. Eric Van Lustbader's book, the Ninja, was being passed around the class (thanks, Robert!) and we were agog at the sheer coolness on ninjas, that they could make poison out of dandelions (or something) and there were scenes with lots of exclaimation marks that, as 12 year olds, we didn't quite understand and wouldn't for quite some time (and for some of us, it would be quite some time). Anyway, needless to say, I wanted to be one. That didn't happen but I did go through a phase of knocking myself silly trying to use a pair of nunchuks and loosing my shuriken over the fence into the neighbour's garden and upsetting his dog. And I wrote ninja stories. There wasn't a tale that couldn't be improved by adding a ninja. How MacBeth would have been much happeir if he'd used ninjas to kill Duncan rather than do the job himself. How Romeo and Juliet was like two warring ninja clans (Kyushu and Iga, if I remember correctly) and (my masterpeice, titled 'Dressed to Kill') where James Bond fights a ninja while he's getting dressed for a party (metaphorically dressed to kill) then throws the ninja out the window but stabs himself on poisoned caltrops left on the sill by the ninja (who's literally dressed to kill). My old English teacher, Ms. Masters, despaired a little. I like to think she's forgiven me now. Yes, but Sarwat, is there a point to this? Well, it's about writing what you love, no matter what everyone else thinks. I still have a fond spot for ninjas and I recently found a copy of Lustbader's book and reread those chapters I didn't understand the first time around and now completely get why my parents confiscated the book.